We just finished making hay here at Full Circle Farm. We put up over 500 bales, plenty for the animals. 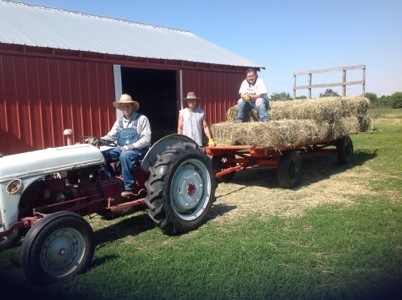 Check out the picture of Farmer Paul and Farmer Joe along with Farm intern Morgan making it all “fit’ in our barn.